Collecting and banking seeds of wild plant is a complementary tool for plant diversity conservation, as well as an important practice on germplasm’s longterm preservation. Although the sampling methodology and collecting technical standards had been well developed in crop germplasm preservation activities, it is not able to be fully adopted for the wild plant species due to the objective and species differences. The initial quality of seeds is critical for longterm storage and its associated material and information are also essential for the further utilization, technical standards for collecting seeds from wild plants are developed in many countries to improve the quality of seeds collection and data, but are not widely available in China. 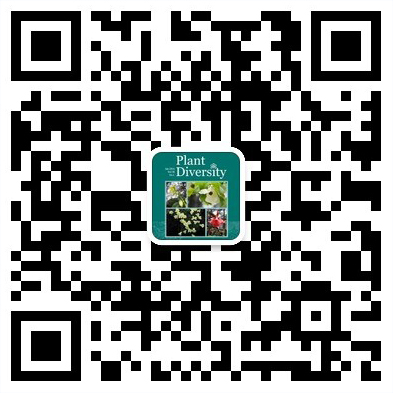 In this paper, we proposed that seeds, herbarium vouchers, associated field data, images and DNA samples shall be collected simultaneously if it is possible as an entire collection unit, the technical standards for each of the five components of collection unit are also presented here, together with protocols in sampling strategy and seed postharvest handling. A plant germplasm database of QinghaiTibet Plateau was established for the purpose of effective data management, storage, sharing and use. This database was developed with a relational database scheme; tools for data collection, examination and inputting were also embedded. An application platform was constructed based on the plant germplasm database of QinghaiTibet Plateau, using a threetier model and the Microsoft NET technology, for achieving the functions of digital storage of plant germplasm data and sharing with the public. Database and application platform provide the basis for resource investigation and utilization in the extreme environments of the QinghaiTibet Plateau and meet the requirements of project result sharing and implementation of the project on wild plant germplasm resource investigation and collection by the Chinese Ministry of Science and Technology. Seed morphology in 57 species and 5 varieties representative of the main Chinese groups of Aconitum (Ranunculaceae) was investigated under scanning electron microscope (SEM) in an attempt to evaluate its taxonomic significance. The results are: (1) Great constancy of seed coat microcharacteristics was observed within the genus. All the taxa studied exhibit a warty ornamentation of the integument epidermal cells. (2) Marked differences of seed grossmorphology were observed among the three subgenera (Lycoctonum, Aconitum, and Gymnaconitum) of the genus. In particular, seeds of subgen. Gymnaconitum are distinctly different by having round or ellipticshaped integument epidermal cells from those of subgenera Aconitum and Lycoctonum which have rectangularshaped epidermal cells. (3) Seeds of the species studied within subgen. Lycoctonum fall into two types. Seeds in A.novoluridum (the only species in sect. Alatospermum) are longitudinally very narrowly winged along three ridges and hardly squamate, and may represent the most primitive seed type of the genus Aconitum. Seeds in sect. Lycoctonum are commonly 1ridged, and more or less transversely squamate. Seeds within subgen. Aconitum are divisible into four types. Those in A.tanguticum (ser. Tangutica), which are provided with three equally developed longitudinal wings along the edges and with smooth faces, may be regarded as the simplest type within the subgenus. Another seed type with three edges and smooth faces but with some tubercles arranged transversely on the surface of epidermal cells, is apparent in species of ser. Brachypoda. Aconitum hicksii (ser. Bullatifolia) and A.brunneum (ser. Brunnea) also have this seed type. In the third and fourth types, the complete disappearance of the two longitudinal wings is coupled with considerable development of transverse membranous wings, but the third type (only found in A.pulchellum of ser. Rotundifolia) has much narrower wings than the fourth type (occurring in A.nagarum of ser. Bullatifolia, and in all species studied of ser. Stylosa, ser. Racemulosa, ser. Volubilia, ser. Inflata, ser. Ambigua, and ser. Grandituberosa). These results confirm the important potential value of seed morphology for the infrageneric division of Aconitum, and further studies should be carried out. The achene morphological features of 28 species of Saussurea subg. Eriocoryne and some close related taxa were observed under scanning electronic microscope. The shape, size, colour and ornamentation of the achenes of Saussurea subg. Eriocoryne are stable at the species level. The apex of the pericarp of S.stella and S.thoroldii are elongated into an irregularly dentate crown, which made them different from the other species in Saussurea subg. Eriocoryne. The ornamentation of the surface sculpture of Saussurea subg. Eriocoryne is striate, and the striate ornamentation can be divided into 3 subtypes: no diaphragm, diaphragmatic, transitional between diaphragmatic and no diaphragm, which is associated with the sectional division in Saussurea subg. Eriocoryne. The subtypes of the ormantation also revealed some morphological evolutionary trends at the section level. The ornamentation of the surface sculpture of the rest species observed are striate, reticulate, areolate and compound. The striate surface sculpture of the species observed in Serratula, Arctium and Carduus showed the close relationship between them and Saussurea subg. Eriocoryne. Morphological characteristics of seeds (external, interior and seedcoat) in 11 species of Cyananthus were examined under stereomicroscope and scanning electron microscopy (SEM). The results indicate that seeds of Cyananthus are narrowly ovoid in shape, episperm are black, tan or brown and smooth. The episperm of sect. Stenolobi has a special black seed mottling. Embry of the seeds belongs to dwarf type, with white or brown, colloidal or oily endosperm. Ornamentation of seed coat belongs to striate type, ribs arranged spirally or parallel, and could further be divided into three types, as broadly reticulatestriate, narrowly reticulatestriate and striate. The seed morphology varies apparently among the three sections within the genus. The characters of seeds, such the length, the color on the surface and the ornamentation on seed coat, are of great significance in distinguishing the three sections of Cyananthus. Besides, sect. Annui demonstrated the highest level of diversification in seed morphology, which may be correlated to the more advanced adaptation of this section. This paper analyzed the shapes of achenes of 12 species in the genus Saussurea DC., and their micromorphological features and germination, and discussed the relationship between achene shapes and germination characteristics with geographical distribution. The mainly achene shapes included three types, namely oblanceolate, cylindrical and cylindricalobtriangular. The amplitude of achene length, width and thickness was large, and the mean value was over 10%. The surface of achenes can be divided into 3 types based on micromorphological characters, namely striate ornamentation, reticulate ornamentation and pitted ornamentation, and the stripe type was the most common. The micromorphological features of achenes are stable, and it was an ideal taxonomic character. The percentage of germination differed greatly among species, and the highest was 98%, but the lowest was just 40%. The geographical distribution of species of Saussurea was significantly correlated with their length of achene pappus and 100grain weight. It also positively correlated with achene plumpness, and the proportion of pappus weight to achene, but the correlation was insignificant. These species of Saussurea in this paper had a high proportion of pappus weight to achene, which was good for longdistance dispersal, and their high germination rate and 100grain weight provided security for the growth of seedling, therefore, these species potentially had a wide distribution in the QinghaiTibet Plateau. Seed morphology of 9 natural populations of 4 species (Sarcozygium xanthoxylom, Nitraria tangutorum, Nitraria sibirica and Peganum multisectum) on the QinghaiTibet Plateau, originally in the same family Zygophyllaceae, was observed by Scanning Electron Microscopy (SEM). The four species from the three new definition family have significant differences on seed morphology. Especially their seed surface is different from each other and difference among species is distinct. It shows that the character has important systematic significance among the three family. In addition, Seed morphological characteristics of the same species from different localities show no significant difference. Both demonstrate that the character is relatively stable within species. The findings of our study support that species in Nitariaceae and Peganaceae could be separated from Zygophyllaceae.It indicates that the stable characteristic could be an evidence for the current classification of the three families (Nitariaceae, Zygophyllaceae, Peganaceae) which have complex relationship. Seed shape and micromorphology of nine natural populations from five Allium species were observed by SEM. The results show that the seeds are black, moderate in size and ovate or subglobose in shape. The ornamentation of seed coat is scalariform. However, the shape, arrangement and secondary sculpture of convex testa cells have predominant differences both among and within species, providing some evidence for classification of Allium. Seed micromorphology of 18 natural populations of three important medicinal plants: Przewalskia tangutica, Datura stramonium and Anisodus tanguticus, representing three genera of Solanaceae on the QinghaiTibetan Plateau was observed by Scanning Electron Microscopy (SEM) in order to evaluate this character for use in systematic analysis. Ornamentation of seed surface show significant differences among the three species, and can be divided into four types. P.tangutica is very different from A.tanguticus on plant, flower and leaf morphology. However, the two species show high similarity on seed size, color, shape and surface ornamentation compared with D.stramonium. A plausible explanation for the result is that Przewalskia L. and Anisodus L. have closer phylogenetic relationships than Datura L. In addition, there is nearly no significant difference on seed micromorphological characteristics of the same species from different localities. Our results indicate that seed micromorphological characteristics could be an evidence for classification among the 3 genus in Solanaceae on the QinghaiTibetan Plateau and shows important systematic significance, but taxonomic decisions must be made with a full suite of morphological, cytological, palynological, molecular and other data. Samara morphology of 8 species of Acer (Aceraceae), which occur in southwestern China, was observed from the herbarium specimens. Morphological comparisons and examinations based on PCO analysis display considerable intraspecific variations in samara morphology, mainly in general shape and fruit size. Samaras belonging to the same species but collected from different places have morphological disparities, which might be associated with different climatic and environmental conditions. This represents the first detailed investigation of the intraspecific variation in Acer samara morphology, and throws light on the identification of fossil samaras of Acer at the specific level. Interaspecific variation in samara morphology should be taken into consider in taxonomical studies of samara fossils of Acer. Fossils with morphological diversity might belong to only one or fewer fossil taxa. The dispersal characteristics and dispersal way of seeds and the biological characteristics of seed germination of Urophysa rockii were investigated in this paper. Our finds showed that the 1000seed weight of the seed was 0.6684±0.0038g. Dispersal units of the species comprise fruits and seeds. Moreover, both autochory and hydrochory are included. The optimum temperature for germination of U.rockii was 20℃, and the germination on 20℃ could be as high as 67.78%. Cold stratification could significantly increase seed germination percentage and germination energy; the longer the duration of cold stratification, the higher the germination percentage. However, this effect did not work significantly if the duration was longer than 30 days. Compared with darkness, light couldn’t increase seed germination percentage, so light was not indispensable for germination of U.rockii. We also confirmed that there were great differences for germination percentage and germination energy between two different germination media. The percentages of germination and germination energy on filter paper were 73.33% and 45% respectively, but 50% and 18.33% on wet sand. The result showed that the filter paper was a better germination media for U.rockii seed germination than wet sand. Seeds of Plantago asiatica were collected from 21 populations distributed in 8 provinces of China. Average 50 seed weight was measured at 15℃, 5% equilibrium relative humidity. Germination test was conducted at 25/10℃, and germination ratio as well as decay ratio was obtained. The dormancy status of the seeds was estimated by calculating the proportion of freshly ungerminated seeds. Fifty seed weight is ranged from 0.0047g to 0.0408g with an average value of 0.0156g. Bivariate correlations between seed weight, germination ratio, decay ratio as well as dormancy status and geographic as well as meteorological factors of the collection sites were conducted. Seed weight is positively correlated with precipitation and temperature at a significant level of P＜0.05 and P＜0.01 respectively, thus plants from the environment with higher precipitation and temperature tend to produce heavier seeds. The decay ratio has positively significant correlations with longitude, temperature and precipitation at the level of P＜0.01; and has a negative significant correlation with altitude at the level of P＜0.01. The dormancy ratio positively correlated with temperature at the level of P＜0.05 and with precipitation at the level of P＜0.01. Over all, seeds from high altitude in the west with a lower temperature and precipitation germinated better than seeds from lower altitude in the east, this is considered to be due to a lower ratio of decay and a lower dormancy level. These different traits reflected the different adaptation in different environments. We haven’t found any studies on the relationship between seed germinability and species abundance at community level. And the relationship between seed germinability and species abundance may differ in communities of different successional stages and vegetation types. This is because communities usually have different biotic and abiotic environmental factors, consequently, the possibility for seedling establishment in them may be different. Yet, no research has tested the relationship between germinability and species abundance along successional gradients in different types of vegetation. We extracted sampling data of the successional gradients in three types of secondary vegetation (zokor mounds, artificial grassland and abandoned arable land), and tested the germination of species appeared in these successional gradients. Then, we tested the relationship between seed germination and species abundance along the successional gradients. Linear regressions showed no significant relationships between seed germination and species abundance in the various successional stages on zokor (a burrowing rodent) mounds or in an Elymus nutans artificial grassland. Although the relationship between seed germination and species abundance in the initial successional stage of abandoned arable land was significantly positive, there was no such relationship in the later successional stages. In abandoned arable land, the magnitude and direction of the relationship between seed germination and species abundance (percentage cover) varied with successional stage, with a positive relationship in the original successional stage and a trend towards a negative relationship as succession progressed. The research on plant resources of Qiangtang Plateau and upper area of Yarlungzangbo River were relatively scant until now. We investigated their vegetation, collected plant germplasm resources, and then evaluated their resource amount. The results showed that specimen and germplasm collected include 148 species belonging to 90 genera and 31 families, in which Compositae, Graminae, Cyperaceae and Leguminosae were dominant. Most of flora elements of families are worldwide distribution and flora elements of those genus showed temperate characteristics. Endemic species and Central Asian distribution and their varieties are in absolute dormancy and these reflected lots of emerged endemic species because of the QinghaiXizang Plateau uplift, and indicated close relationship with Central Asian distribution flora. The vegetation traits was described there, the exploitation and utility were valuated on local special economic plants such as Oxytropis glacialis, Oxytropis falcate, Morina kokonorica and so on. At last, the authors give some related suggestion about conserving and reasonably making use of those plant resource. Floristic characteristics and species diversity of the Orchidaceae on Shergyla Mountain, southeast Xizang (Tibet), China, have been investigated. The results are as follows: (1) This mountain harbors one of the richest orchid floras in Xizang, including 35 genera and 67 species. Most of the species are vulnerable or endangered, and some even critically endangered, thus badly needing protection. (2) Species are diverse in their life form, being terrestrial (21 genera and 42 species, accounting for 60.00% of the total genera and 62.69% of the total species), epiphytic (11 genera and 21 species), or saprophytic (4 genera and 4 species). (3) The species number gradually decreases towards increasing elevations, with the terrestrial orchids occurring in all of the six altitudinal belts of the mountain, the epiphytic ones in lower and middle belts, and the saprophytic ones in a narrower belt from 2800 to 3730m. (4) The floristic components, at both generic and specific levels, are rather complicated. At the generic level, the tropical elements are slightly more than the temperate ones, while at the specific level, the temperate elements are predominant, including 43 species, which account for 64.18% of the total. This indicates that the orchid flora of Shergyla Mountain is of a mixed nature, i.e., being both tropical and temperate, and tends to be purely temperate. It is noteworthy that 30 orchid species on this mountain are of an eastern Asian distribution, respectively accounting for 44.78% of the total 67, and 69.77% of the temperate species, and that 20 species among them (accounting for 66.67%) are of a SinoHimalayan distribution, a reflection of the alpine nature of the orchid flora on Shergyla Mountain. The occurrence of 12 orchid species endemic to China on this mountain suggests a relatively young and derived nature of the orchid flora. Orinus is an alpine genus with important values in the grass family (Poaceae). All six species recognized within this genus are distributed in the QinghaiTibet Plateau. In the past five years, we surveyed the distributions of each species in this region and collected germplasm resources, including seeds, DNA and specimens. We further used the ITS sequence variation to tentatively delimit the previously acknowledged species and found that there is no distinct boundary between species and only two distinct lineages were recognized for all six species, indicating that some species should not be treated as separate species. These data provide an important resource for further utilizing and studying this genus. Leaf epidermal microfeatures under Scanning Electronic Microscope (SEM), especially microfeatures of cuticle waxes, are considered to be a valuable character in plant taxonomy and systematics. Previously studies of leaf epidermal microfeatures mainly focused on levels of species or above species, whereas intraspecific study was rare. In order to explore intraspecific variation of leaf epidermal microfeatures, we selected multiple materials of Stipa purpurea and Oxytropis microphylla (29 and 15 samples, respectively) to observe the microfeatures of leaf cuticle waxes under SEM. The results revealed that these two species bearing high intraspecific variations of microfeatures of leaf cuticle waxes, and these variations lack of a strong correlation with any single biotic or abiotic factors, in contrast, it is affected by combined effects of multiple factors. Therefore, the use of microfeature of leaf cuticle waxes in taxonomical and systematic study will depend, to great extent, upon the detection of microfeature variation range, by extensive sampling along the whole distribution area. The chromosome numbers and karyotypes of five species of the genus Leontopodium (Asteraceae) from Southeastern QinghaiTibet Plateau, Southwest China were investigated. Three species were studied karyomorphologically and reported for the first time: L.franchetii 2n=2x=26=6M+18m+2sm, 2A; L.calocephalum 2n=4x=48=3M+43m+2sm, 1B; L.stracheyi 2n=4x=48=13M+35m, 1A. Two species L.souliei and L.sinense presented different chromosome numbers and karyotypes from the previous reports, that is, L.souliei 2n=2x=24=13M+8m+3sm, 1B; L.sinense, the population collected at altitude 2406m a.s.l. Muli County, Sichuan Province: 2n=2x=26=4M+22m, 1B, the population collected at altitude 3074m a.s.l. Muli County, Sichuan Province: 2n=4x=52=16M+36m, 1B. The comparison of existent chromosomal data indicates that Leontopodium is a genus with symmetry karyotype, but diversified obviously among different species. Polyploidization might have played an important role in the speciation and evolution of Leontopodium on the QinghaiTibet Plateau and its southeastern peripheral regions. 2n =60=32m+28sm, 2A; Saussurea thomsonii 2n = 36 = 22m+14sm, 2A; Taraxacum tibetanum 2n = 16 = 10m+6sm, 1A. The chromosome numbers and karyotypes of other two species reconfirmed previous reports. Chromosome numbers and karyotypes of 8 species of Saussurea, Pertya and Tricholepis from Hengduan Mountains with neighborhood were studied. The chromosome numbers and karyotype were reported firstly for Pertya berberidoides (2n=2x=32=28m+4sm), Tricholepis furcate (2n=2x=32=16m+16sm), Saussurea dschungdienensis (2n=2x=30=30m+Bs), S.likiangensis (2n=2x=32=26m+6sm), S.retroserrata (2n=2x=32=14m+18sm), and S.peduncularis (2n=2x=36=26m+10sm). The chromosome numbers and ploidy of S.hieracioides with 2n=4x=64=30m+34sm and S.deltoidea with 2n=2x=34=22m+12sm are consistent with previously report. All species have type 2B karyotype asymmetry, except for Saussurea dschungdienensis and Pertya berberidoides having type 1B. B chromosome was first discovered in Saussurea dschungdienensis. The results showed that the genus Saussurea and the tribe Mutisieae have a wide range of chromosome numbers and obvious aneuploidy. In addition, only diploid and tetraploid were found in Saussurea from Hengduan Mountains, and polyploidization might have played a minor role in the chromosomal evolution of the Saussurea in the Hengduan Mountains. Spruces (Picea), a genus of Pinaceae, are important components of the forests in the Northern Hemisphere. It is relatively difficult to distinguish species by using traditional morphological method due to frequent interspecific hybridization and introgression, and radiative diversification. However, the emerging and developing of the DNA barcoding methods provide an alternative approach. In this study, we tested the discrimination powers between five chloroplast DNA regions (matK, rbcL, trnHpsbA, trnLtrnF and trnStrnG), three nuclear DNA regions (4CL, Sb29 and GI) and the combination of these fragments in spruces. We sampled 83 trees, which represent 19 spruce species mainly from QinghaiTibetan Plateau and also from other regions of China. We used two methods, PWGdistance and TreeBuilding, to conduct barcoding analsyes. A single chloroplast DNA fragment (10.5%-26.3%) or a single nuclear DNA fragment (15.8%-26.3%) always shows low level of species discrimination rate. Although the combination of the chloroplast DNA fragments had higher discrimination rate than the single one, the highest rate of discrimination was only 42.1% for both combinations of trnHpsbA+trnStrnG and trnStrnG+trnLtrnF. And the combination of the nuclear DNA fragments also showed lower rates of discrimination (26.3%-36.8%). It thus appears that it is difficult to discriminate spruce species using only chloroplast DNA fragments or nuclear DNA regions. However, the combination of chloroplast and nuclear DNA regions had higher resolution for identifying spruce species, especially for trnStrnG+trnLtrnF+4Cl, whose discrimination rate can reach up to 57.9%. Therefore, in the future, this combination of fragments from chloroplast and nuclear can be widely adopted for the discrimination of plant species when the normal DNA barcodes fail to work. Swertia is one large genus of Gentianaceae with a wide distribution in Asia, North America, Europe and Africa. In this study, we reported two new sections (Montana and Echinulata) and seven new series (Repentes, Kilimandscharicae, Corymbosae, Japonicae, Swertopsis, Pumilae, and Abyssinicae). In addition, some species were reduced, recombined and newly established. These new taxonomic synopses will be used for a further worldwide monograph of this genus. Available data from both embryological and molecular studies of the monotypic section Heteranthos within the genus Swertia s.l. suggested that this taxon should be erected as a separate genus. We examined morphological variations of the only species across multiple populations and found that it has two types of individuals and one type contains both large and small flowers while the other only small flowers. However, all small and most large flowers set seeds through a cleistogamous pollination mode, which may have evolved in response to the reproductive adaptation to the arid habitats of the QinghaiTibet Plateau. However, this pollination mode is different from the outcrossing breeding system observed for the other Swertia species. Dimorphic plants and flowers distinguish this species from the other Swertia species and related genera. We further discussed the systematic position of this species based on the comprehensive data and the current data support its close relationship with Halenia. The morphological distinctness and systematic position of this species from all comparisons justified its generic status. We here place this species in a new genus Sinoswertia, and describe and illustrate it. However, after excluding this species, Swertia s.l. is still polyphyletic based on the molecular evidence. The taxonomic treatment of this polyphyletic genus possibly due to the recent radiative diversification and convergent evolution poses an extreme challenge at the present and pends further detailed studies.